Penhaligon's is a Great British heritage brand, established in 1870 by William Penhaligon. He brought his family to the capital from rural Cornwall to pursue a career as a barber on Jermyn Street. The adjacent Hammam baths inspired William to create his first fragrance, and by 1872, Hammam Bouquet was born. 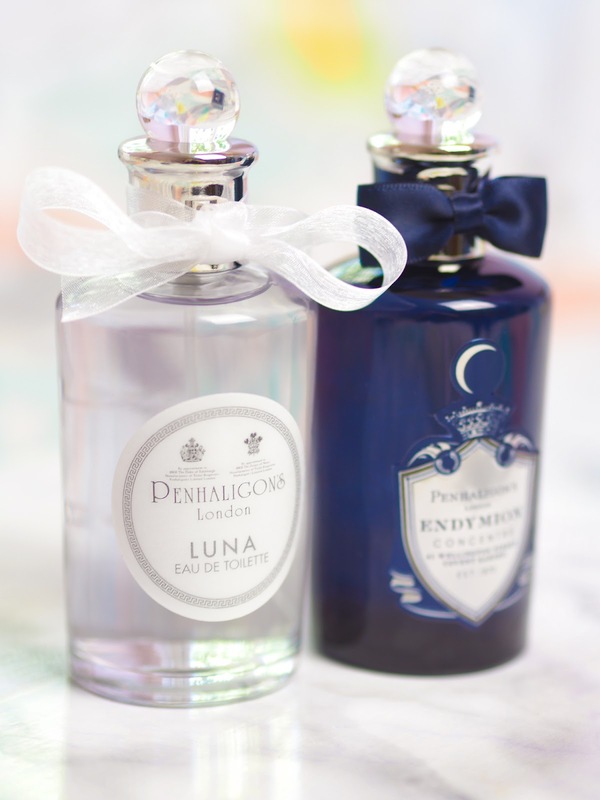 Penhaligon went on to take over the salon in the baths, and developed new scents and other perfumed goods. By 1880, Penhaligon became a partner and the salon became known as Penhaligon & Jeavons. After Mr Jeavons' death, Penhaligon became the sole proprietor and also became more famed for his perfumery than his barbering skills. 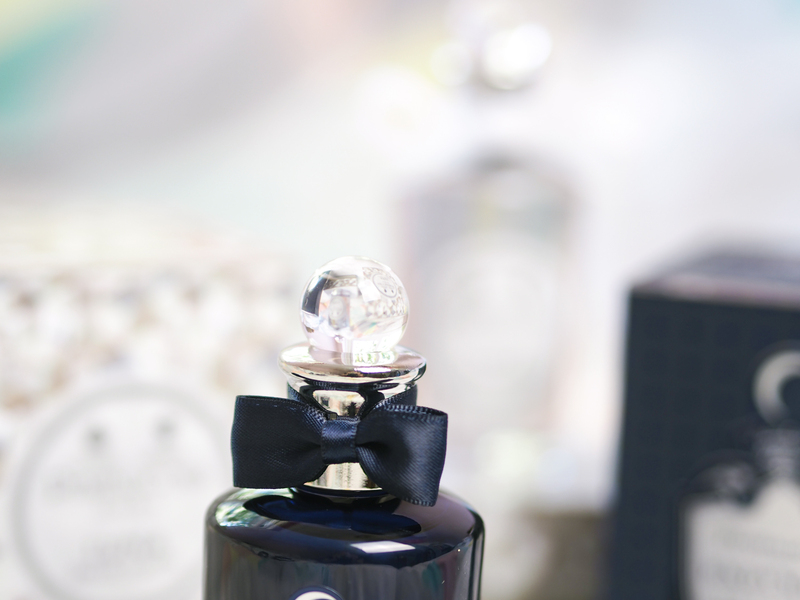 Moving towards the present, Penhaligon's have managed to maintain their relevancy in the contemporary market, with successful new releases, all of which carry that signature Penhaligon's elegance. For summer 2016, Penhaligon's have launched two new fragrances, those on very different ends of the spectrum. 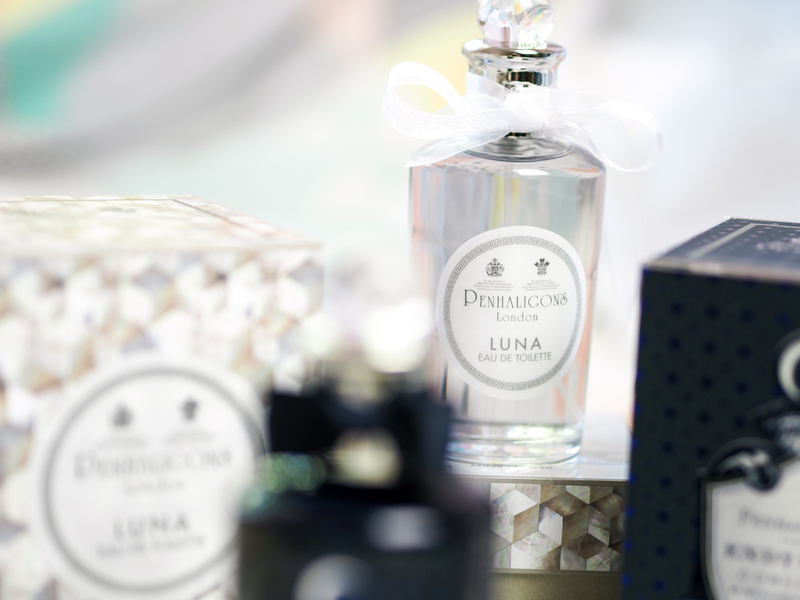 Penhaligon's have returned to Greek Mythology to inspire their summer launches, with Endymion Concentré* and Luna Eau de Toilette*. Endymion is one of the brand's most popular colognes, and Concentré sees it up the intensity. This launch is tempered by the addition of Luna EDT to the women's range. Luna, is the balance of Endymion, representing the goddess of the moon. Now Greek mythology is far from being my strong point, and I think a lot of it is more fact that fiction due to being passed down over the years. There are many other renditions of the stories, and this one is merely creative, but here is my interpretation of the story between Endymion and Luna, inspired by the two fragrances. The story starts with Endymion, a handsome Aeolian hunter in Olympia. Endymion was infatuated by the moon. On his hunts, he would regularly gaze into the distance, basking in the bewitching glow it emits. He always wondered whether the world would hold more for him, whether there would be more to his life than simply being a hunter. Little did Endymion know that behind his precious moon sat Luna, the goddess of everything it embodied. Luna is powerful, kind and timelessly beautiful, yet impulsive and a bit of a diva at times. Although she wore her heart on her sleeve, she was yet to find a man she truly would yearn for. She too loved the moonlight. There was something so grounding about it, the peacefulness. It had a profound effect on Luna, so she often took walks in the dead of the night to calm her, especially after a particularly dastardly feud with her father, or a lover. One night, Luna decided to take a walk, which just happened to be the same night Endymion was returning late from a hunt. Endymion sat upon his horse gazing upon the stars, when in the distance, he saw a glistening vision, light dancing upon the still waters of the lake. Luna saw a figure across the stretch of water where she skimmed the surface, one of the many perks of being a goddess. The figure was like a dark knight, perched on his horse with a troubled look on his face. Luna was intrigued and decided to move closer. As the bewitching light show moved closer to Endymion, he realised that it was in fact a figure. Not human, more like supernatural, for Luna was glowing with radiance, and he drank in her beauty for the first time. Endymion had heard of the Gods, but it was all hearsay. He had no idea that the vision that stood before him was in fact the real life embodiment of the moon, a Goddess. Endymion dismounted his horse and soon he and Luna were merely metres apart. No words were exchanged, but there was a shift in the energy around them, a buzz, what would later be an eternal bond. Luna reached out for Endymion's hand and that one touch sent electicity running throughout each of them. With that, she swiftly turned and left, like a firefly dancing back over the lake from where she came, leaving Endymion bewildered, wondering about the existence of his mysterious woman. Luna was headed straight for Zeus. As soon as she locked eyes with the hunter, she knew that she couldn't bear to live life without him. Sure, she could enjoy him for many years, as many as his lifetime held, but he, being human, would die leaving Luna alone for the rest of her life; eternity. She stood before the great God and asked him to grant Endymion eternal youth, so he would never leave her. Luna made Endymion timeless, an old soul in a young body. 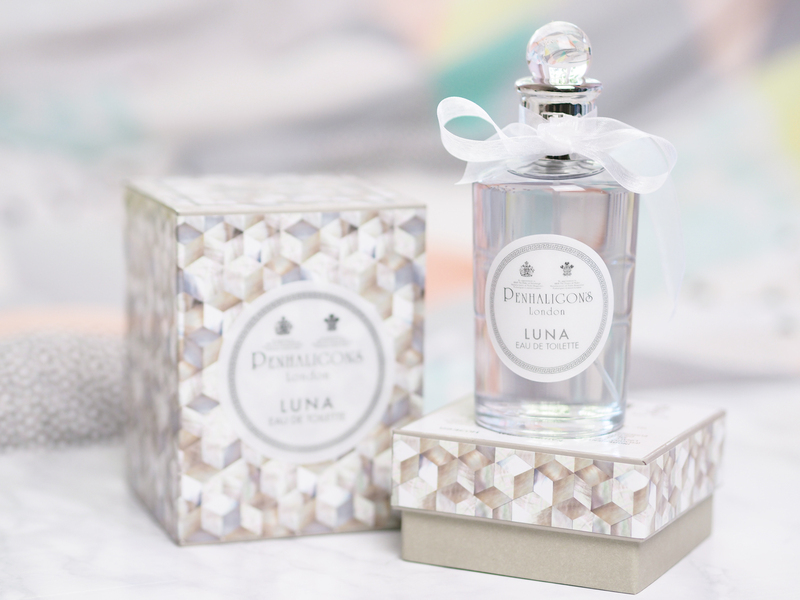 The idea behind Luna EDT is to offer a feminine counterpart to the woody leather notes of Endymion Concentré. Luna asks Zeus to grant Endymion eternal youth, something that is represented not in Endymion Concentré as expected, but in the freshness of Luna EDT. It is as if the fragrance grants it's wearer eternal youth. The modern Luna is easily personified. She has an innocence, accentuated by the playful accords of rose and citrus. Luna enjoys exploring the countryside, and drapes herself in pretty summer dresses. She occasionally stops to smell the blooms and appreciate their beauty. The jasmine in the fragrance also signifies Luna's sensuality and beauty, but it's the juniper berry that shines through, giving her the magic that sets Luna apart from the rest, the moonlight dancing on the water. The fragrance is beautiful. It is perfect for this time of year as its notes mirror the English summer. 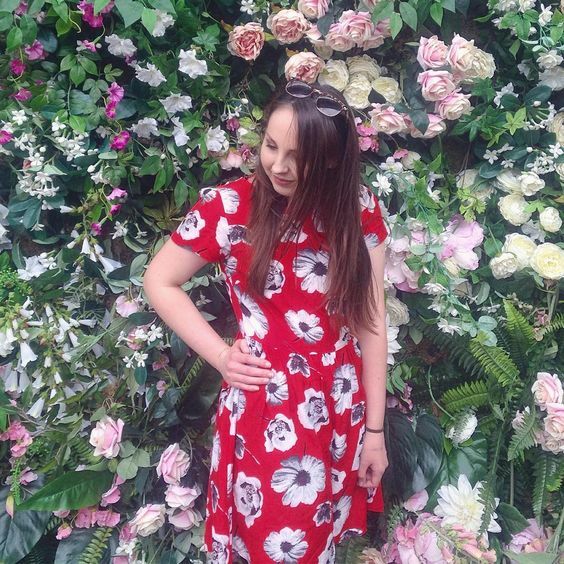 It's the one to wear with a delicate white dress for a summer's picnic, watching Wimbledon, Pimms in hand. 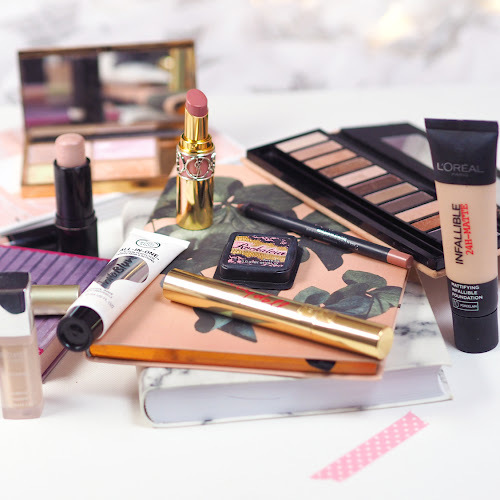 The top notes are fresh and fizzy, and are joined by an almost gourmand Turkish delight-esque rose, which settle into a powdery finish that isn't all that dissimilar to Lush's Rose Jam. 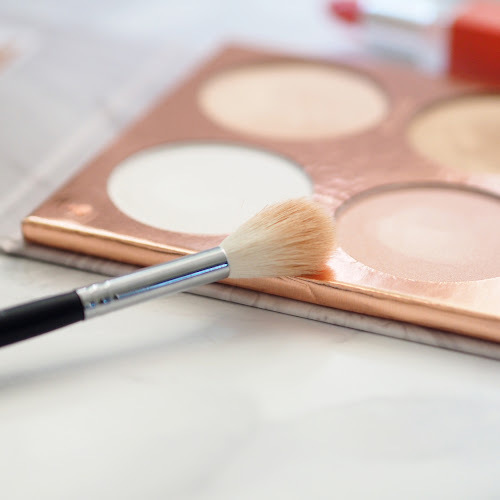 It's very Stella-like, so if you're a fan of that, you'll love this. Luna is soft and feminine, traditional yet very current. 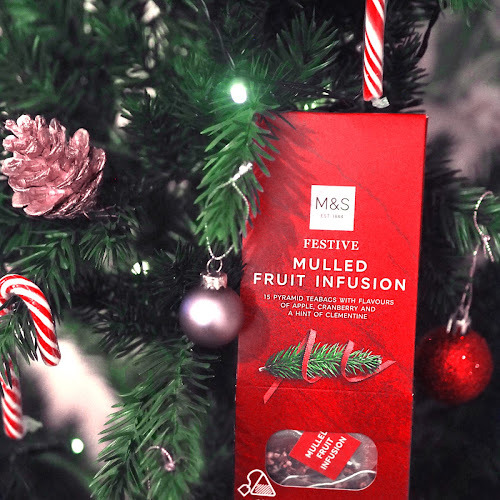 The powderiness manages to stay fresh rather than being heady or sickly and the tang of the juniper counteracts the sweet rose and stops it from being too "I've eaten too much Turkish delight on Christmas day". It just works so well, and stirs a genuine thrill inside me. Notes like juniper berry offer a reminder of Penhaligon's Great British heritage, and y'know, anything that smells like G&T is okay with me! Endymion Concentré is a masculine fragrance and is an intense reworking of the original Endymion, which was launched as an eau de cologne in 2003. Although it is masculine, its remains very unisex, meaning you won't smell like you're wearing your boyfriend's aftershave. It doesn't have any aquatic notes, rather gaining its masculinity from soft hides (again referencing Endymion as a hunter) and spice. It is bewitching, and the bottle mirrors the light of the moon. It is very mysterious, bewitching and intriguing, with a seductive base of sweet, creamy nutmeg. Endymion was transformed into Endymion Concentré, an amplified version of himself. The scent carries timeless notes, which corresponds to Endymion's immortality. The historical Endymion is a god in his own right where looks are concerned. The modern Endymion is difficult to pinpoint, he could even be the average man. The slightest attention from Luna makes him feel worthy. She makes Endymion feel timeless, like a great suit does, and that's what Endymion Concentré does to Mr Average. It would be worn by a man, not necessarily classic himself, but one that wants to feel timeless. He isn't quite so clean cut, and retains some of the hunter's rebellious roots. Of course, this is just my personal interpretation of the story, and fragrance is exactly that, personal. Fast forward to the 21st century, and Endymion and Luna represent a modern love story. What I find interesting is that the pairing represents the strength of being female. Without Luna, the whole dynamic is lost as she is the one that grants Endymion eternal youth. This gives Luna the upperhand, an unexpected twist from a historic brand. Penhaligon's have recognised gender equality rather than using women purely for their sexuality. Scent goes hand in hand with attraction, and female sexuality has been heavily featured in perfume marketing for years. I'm so impressed with these two scents from Penhaligon's. 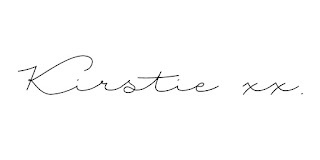 It is a brand that I wouldn't otherwise have turned to, due to being very much at the premium end of the market. 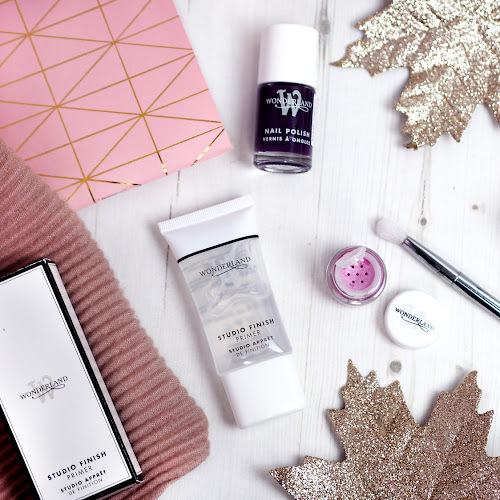 I did try a sample of Iris Prima about a year ago, and it wasn't really my cup of tea, but Luna especially has restored my faith in the brand and has proved that their scents can be very wearable and contemporary. I have worn Luna so much over the last couple of weeks and it has become my go-to when I want to smell really elegant and feminine. I don't wear Endymion Concenté as much as it is a lot more masculine, but I've really come to appreciate leather notes over the last year or so, and I think this one would be excellent for fragrance layering. 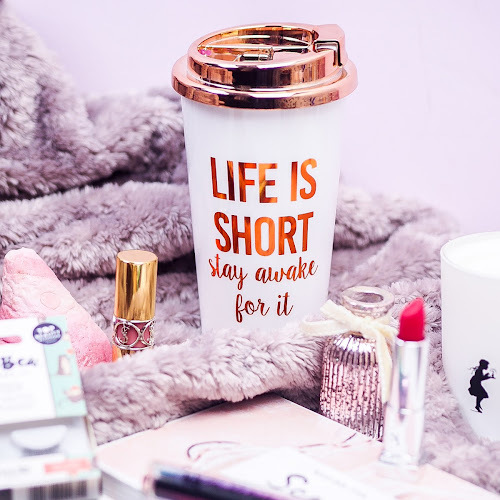 Both of the scents are really long lasting and even Luna, which is an eau de toilette, lasts a good 10 hours on my skin! Penhaligon's really is a luxurious treat, and I love that the bottles are reminiscent of William Penhaligon's original design. The bows also make a lovely touch, and I think Luna in particular would have pride of place on any women's dressing table. They really do have that vintage feel to them, and it makes spritzing them a decadent ritual. 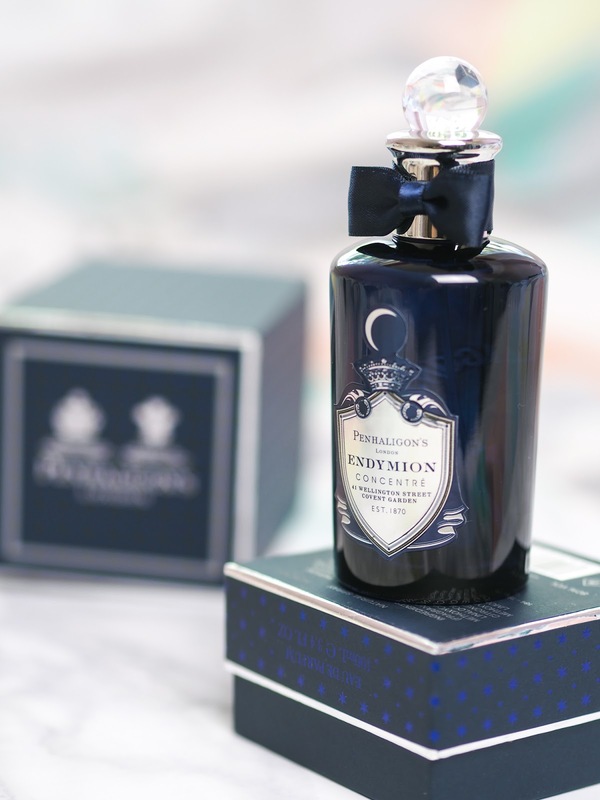 Penhaligon's packaging is particularly noteworthy, with every last detail thought of and perfectly executed, even down to the box the scents were shipped in. I look forward to being able to spritz some of the brand's other fragrances, and I will definitely be making a trip to their flagship boutique in Covent Garden soon. 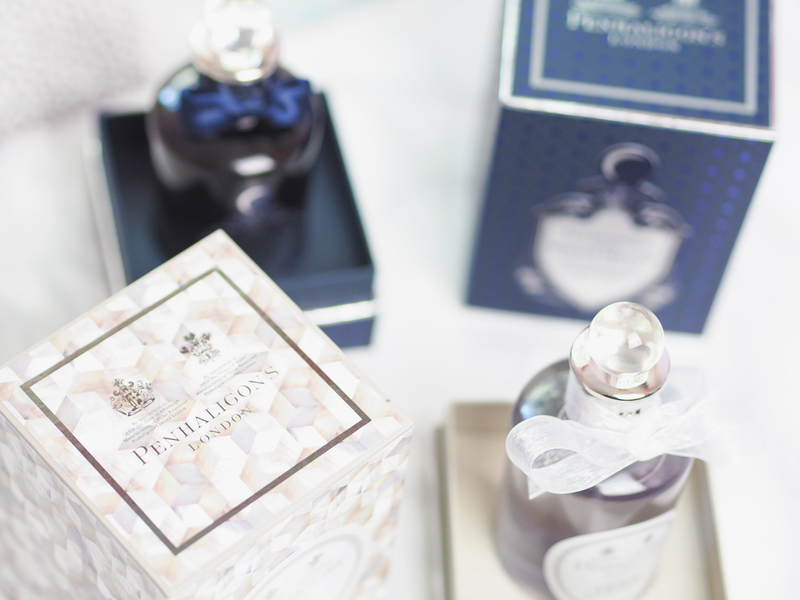 Have you tried any scents from Penhaligon's?